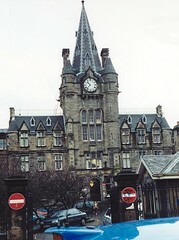 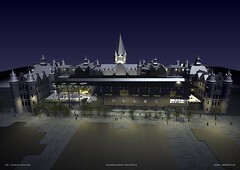 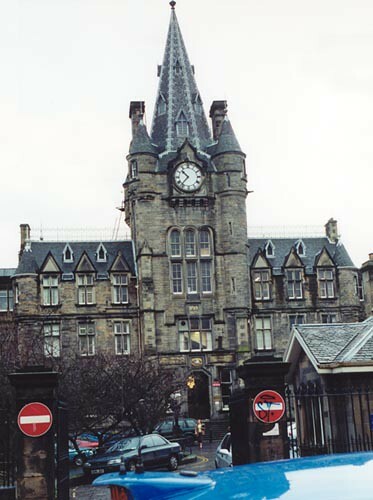 This now abandoned project for a five star hotel within the surgical hospital of the Royal Infirmary, designed by David Bryce in 1870, was part of a wider planning application submitted by Southside Investment Ltd. for their renewal project for the hospital as a whole entitled "Quartermile Edinburgh". 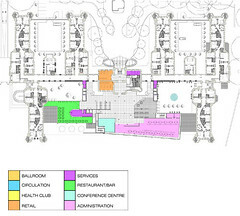 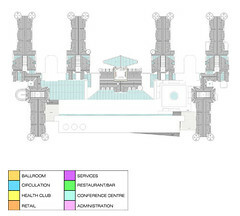 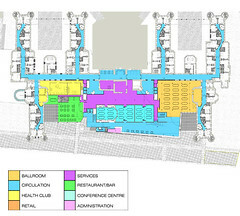 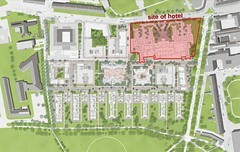 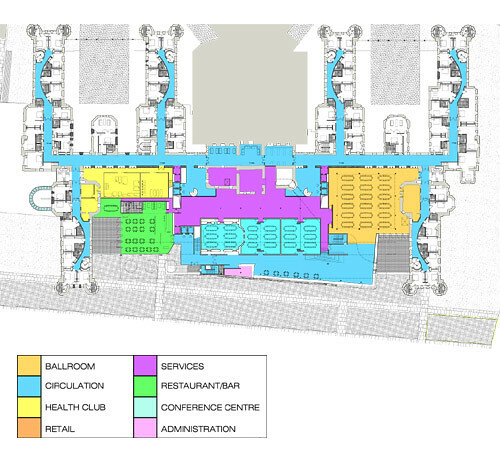 The site plan is master planned by Foster Associates and our hotel involved the demolition of all the non Bryce buildings to the south of the surgical hospital and their substitution with shops, ballroom, foyer, offices, garden and winter garden with the conversion of the six wings of the Bryce's building into approximately 220 five star hotel rooms. 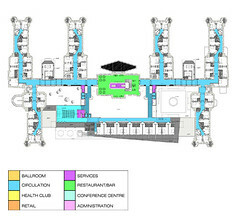 A five star hotel is by definition a complex building type and the design was further complicated by the need for the majority of the accommodation to be located within the existing Bryce Building. 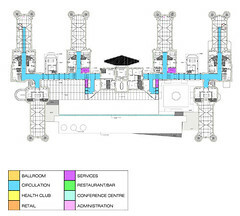 Indeed the overall configuration of the building, having long horizontal circulation patterns as opposed to the normal tower and ground floor large span space arrangement, makes the strategic and in particular circulation planning critical. 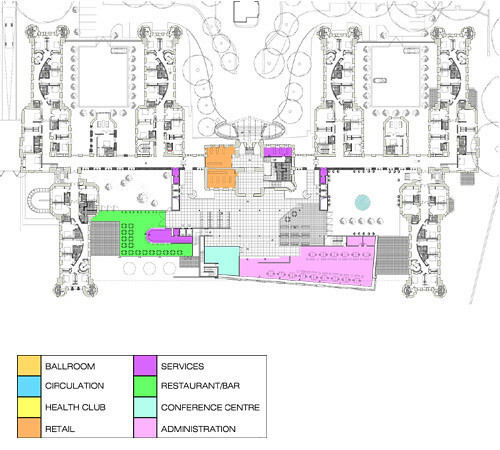 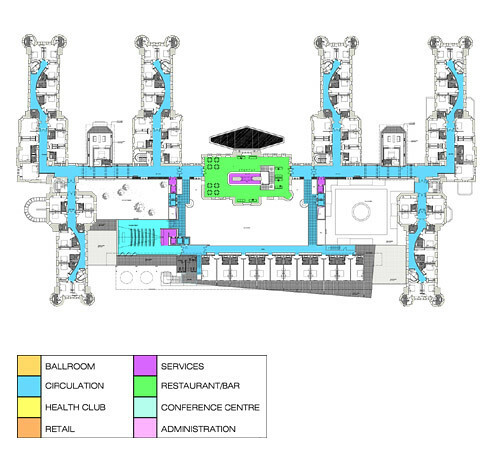 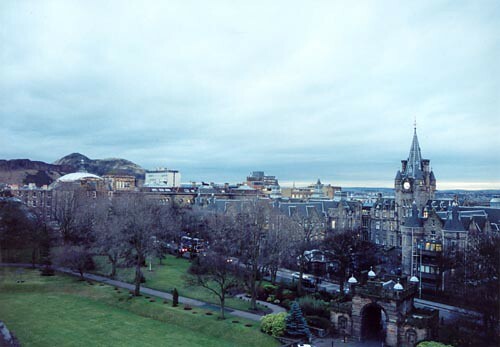 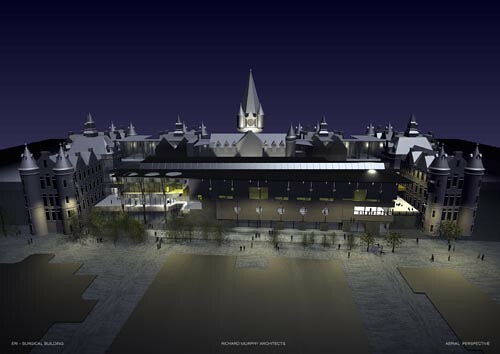 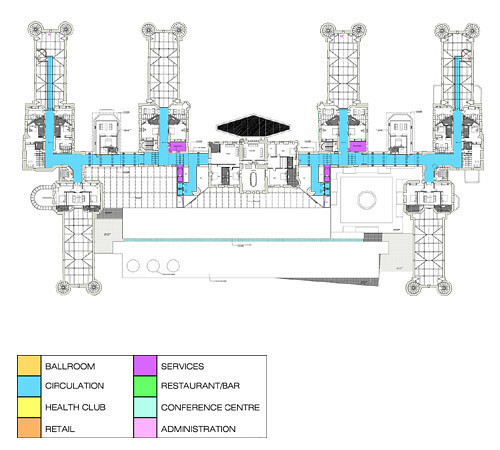 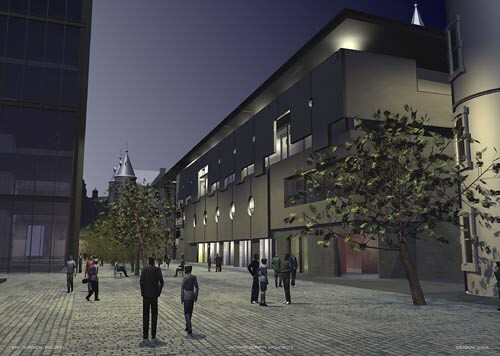 The project for the five star hotel was undoubtedly the most complex building on the whole Royal Infirmary site. 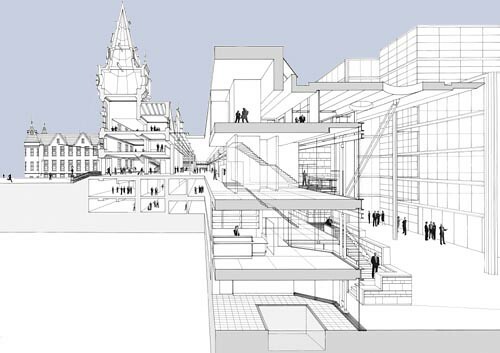 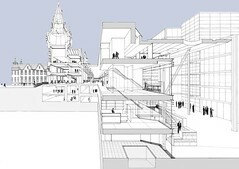 Early in the design it was realised that the surviving fragments of the William Adam Building were very insignificant, and so an attempt to consider rebuilding the missing sections of the William Adam Building was abandoned. 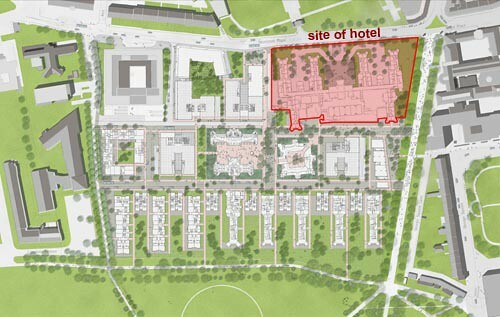 In addition it was realised that the large span spaces of a five star hotel could only be accommodated within a new building on the south side of the site. 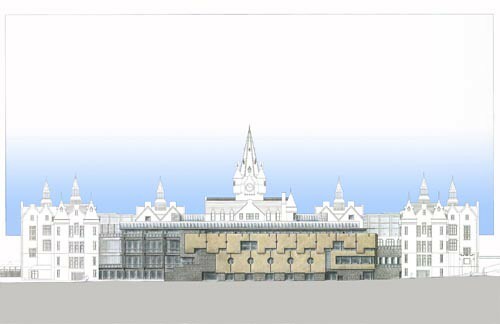 The approach was taken to make a building of significant size on the south side of the site to compliment the two south wings but also to pull back from each of these to make sure that the "internal" elevations of those wings could be read from the south elevation. This has been achieved by creating at first floor level two terraces; for the winter garden and a la carte restaurant at the western end and for the banqueting suite at the eastern end. The architectural treatment of the south elevation is distinctive and memorable as befits a major hotel; it was conceived as a complete new building framed by the original Bryce wings.